Since it’s #EatMoreVeggies Month here at Cook Smarts, we’re going to share a recipe today to help you do just that. So far in this series, we showed you fun ways to enjoy veggies, whether it’s in the form of ‘zoodles’ or fritters. So for this week’s recipe, we’re keeping it super simple, and anyone can make this at home. It may seem like a very obvious recipe – veggie sandwich – but it’s all in how you execute it. This sandwich is filled with tender-but-still-crunchy veggies and a super flavorful and easy sundried tomato pesto that takes it all up a notch. Fresh mozzarella lends some gooeyness to the entire meal, and really, who can say no to oozy, melty cheese?! But just because we’re encouraging everyone to eat more veggies, that doesn’t mean that you have to go meatless everyday. The beauty of this recipe is that you can add whatever you want – customize with your favorite veggies (we use zucchini, bell pepper, and eggplant in ours) and add meat, if you’d like. It’s even easier if you have leftovers, such as extra seared pork chops with balsamic red onions that you made last night, or rotisserie chicken. Add to your veggie panini for a good balance of veggies and protein, and for a quick and healthy weeknight meal. You don’t need a panini press. Just place your sandwiches between two sheet pans, and weigh the top sheet pan down with something heavy to get a similar effect. Instead of using a grill pan, try roasting your veggies for a Roasted Veggie Panini. Heat oven to 425 F (or 218 C) degrees. Toss peppers, zucchini, and eggplant (or whatever veggies you are using) with some cooking oil on a sheet pan. Roast for 25 minutes, shaking once midway through, or until desired doneness. Sprinkle with salt and pepper fresh out of the oven. Leftover pesto can be frozen, so we recommend doubling the pesto recipe. You’ll be using the same amount of time to make it, but now you have some pesto on hand for fast and easy future meals. But if you prefer to go the sandwich-and-fries route, try making these amazing Panko Avocado Fries or Sweet Potato Fries! A food processor will help you make this pesto in a flash. Grill your veggies indoors with the help of a grill pan. This recipe uses two sheet pans to get the panini effect, but they’re super useful, inexpensive, and handy in the kitchen, so they’re worth the investment. An Italian panino is a quick and easy lunch that is eaten all over Italy. We’re going to jazz ours up with our sundried-tomato pesto, and enjoy it with grilled vegetables as a way to eat more veggies. Fresh mozzarella – 8 oz. Heat oven to 375F (191C) degrees. Brush some cooking oil on veggies and lightly sprinkle with salt and pepper. Heat grill pan over medium-high heat. Brush with some cooking oil. Place veggies onto hot grill pan. Sear veggies for 3 to 4 minutes each side. If the veggies are not done at this point, lower heat and cover with foil and cook until they’re done to your liking. Assemble sandwiches – Slice open bread. Our preference for maximum flavor is to have pesto spread on both slices of bread and then sandwiching grilled veggies and cheese. Brush outside of sandwich with some oil if desired. 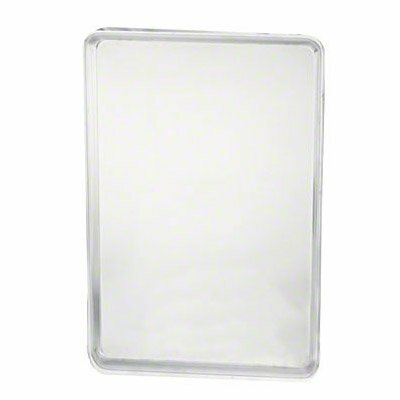 Line a sheet pan with parchment paper or foil. Place assembled sandwiches on sheet pan and place another sheet pan on top of the sandwiches. Place something heavy and oven-proof, like a Dutch oven or a brick on top sheet pan to press sandwiches (this is the poor man’s panini-maker!). Bake for 10 to 12 minutes until cheese is melty and everything is warmed through. Enjoy warm paninis with a salad or your favorite side!